As a former FBI Agent and Director of Security for two corporations, Hank brings over 25 years experience to Fidelity Data Service. While with the FBI he handled hundreds of background investigations including over one hundred SPIN (Special Presidential Inquiries), investigating officials for high government positions including cabinet posts. He also investigated fraud and embezzlement schemes involving banks, insurance companies, automobile and heavy equipment dealerships. 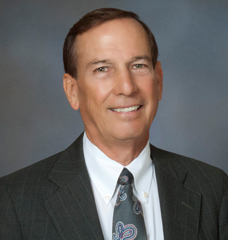 Hank is a board member of a Condominium Association and a Home Owners Association, as well as being a Licensed Community Association Manager (LCAM). As a Board member, he saw the need for effective background screening techniques in order to lessen vandalism, theft, assaults, misconduct and substance abuse. To that end, he founded Fidelity Data Service. He is a Licensed CAM Provider and is certified to teach courses and grant continuing education credits on topics dealing with the Fair Credit Reporting Act (FCRA), Background Screening, as well as Safety and Security. Hank is a convention speaker and the author of “Handling Drug Abuse in The Workplace,” a practical guide for managers and front line supervisors. He has written numerous articles on security topics that have been published in “Police Chief” (International Association of Chiefs of Police), “Security Management” (American Society for Industrial Security) and other Magazines and trade publications. He is a member of the Society of Former Special Agents of the Federal Bureau of Investigation and the Association of Former Intelligence Officers of the U.S.
Hank has a degree in Economics and is a Navy veteran.